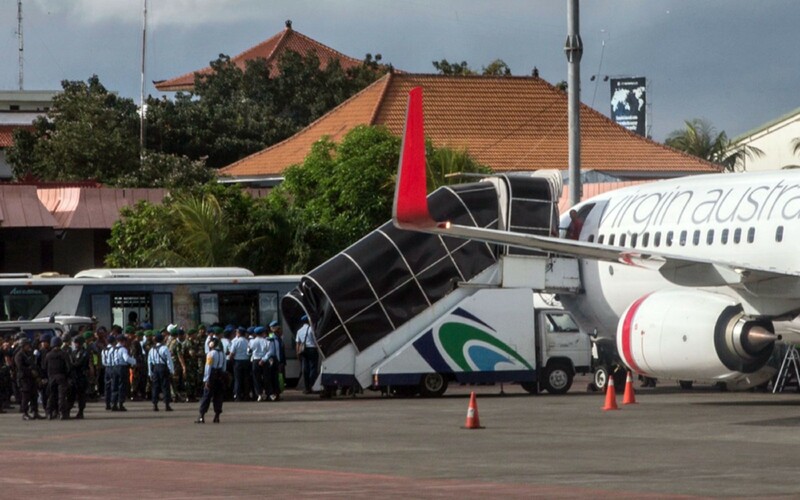 DENPASAR, Indonesia - An Australian passenger who sparked a hijack alert on a flight to Bali has denied being drunk and claimed he banged on the door of the cockpit after mistaking it for the toilet, Indonesian police said Saturday. 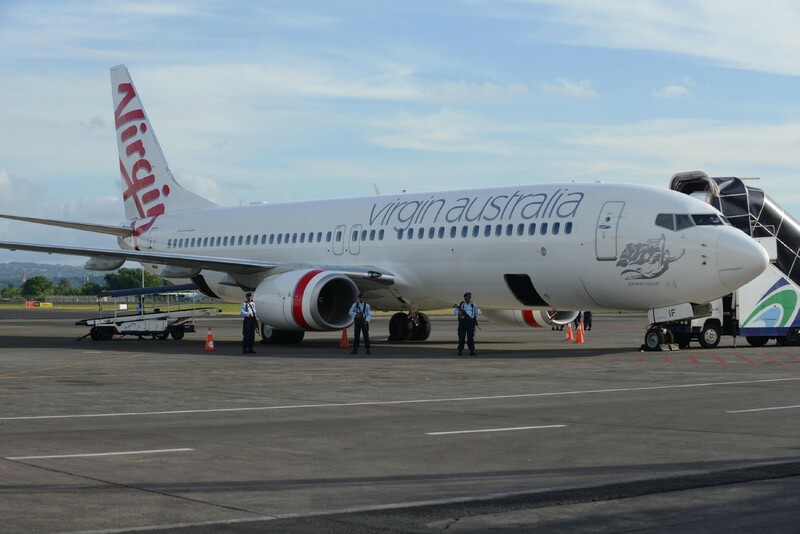 Matt Christopher Lockley also said he was in a state of depression during the Virgin Australia flight Friday to the resort island, as he was searching for his Indonesian wife with whom he had lost contact, they said. 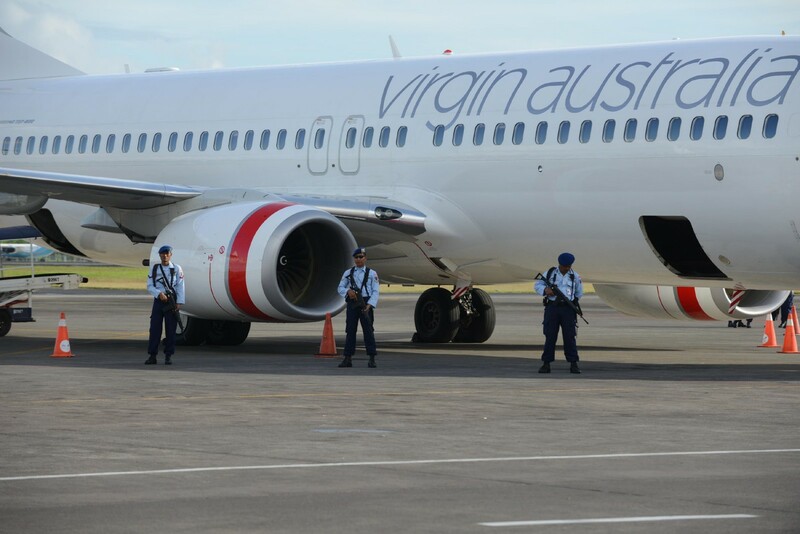 Security forces rushed to the airport on the Indonesian island when the Boeing 737-800 from Brisbane touched down following a report from the pilot of a hijacking attempt after a passenger started thumping on the cockpit door. 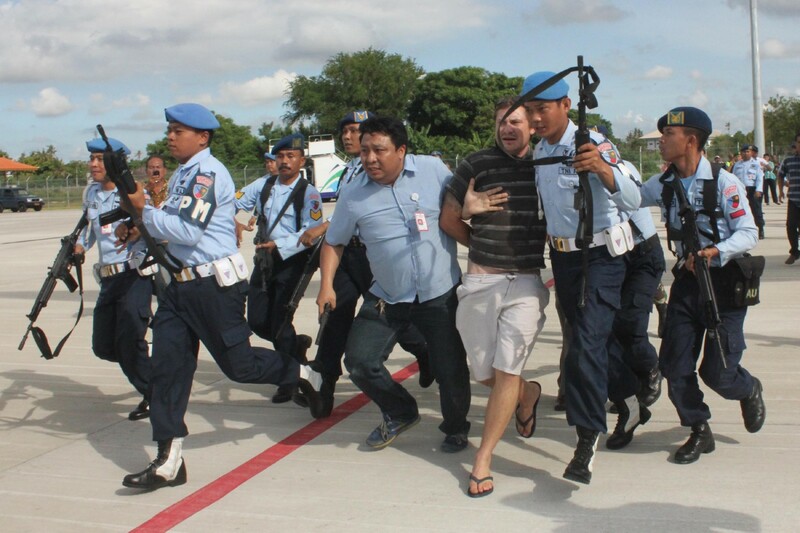 Lockley, wearing flip-flops, white shorts and a T-shirt, was dragged off the plane by heavily armed air force personnel and arrested by police. Indonesian officials initially said he had been drunk but police said Saturday the 28-year-old, who is in custody but has been admitted to hospital suffering from fatigue, has denied being under the influence of alcohol. 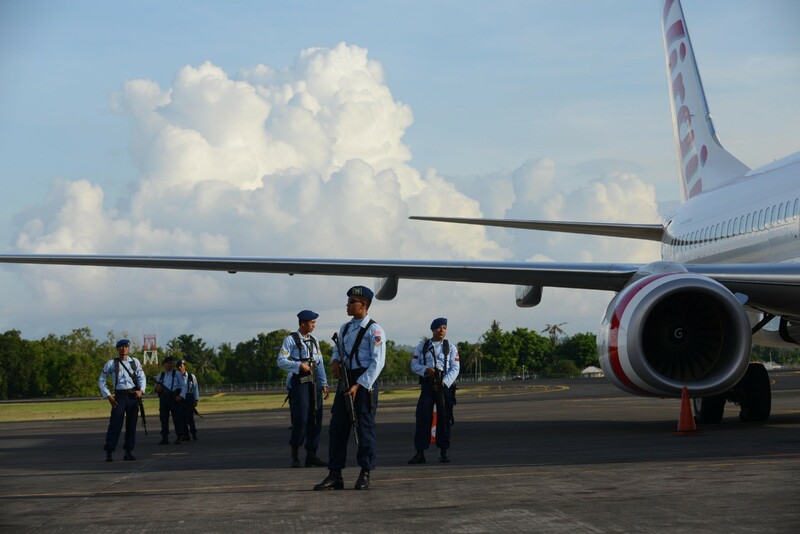 He told police that before flying he had taken only two pills of Voltaren, four pills of Panadol - both types of painkiller - and drank two bottles of Coca-Cola, Bali police spokesman Hery Wiyanto told AFP. "According to him, he was not drunk but suffering from depression due to a family problem," the spokesman said, adding police were waiting for alcohol test results but there was no smell of drink on his breath when he was detained. 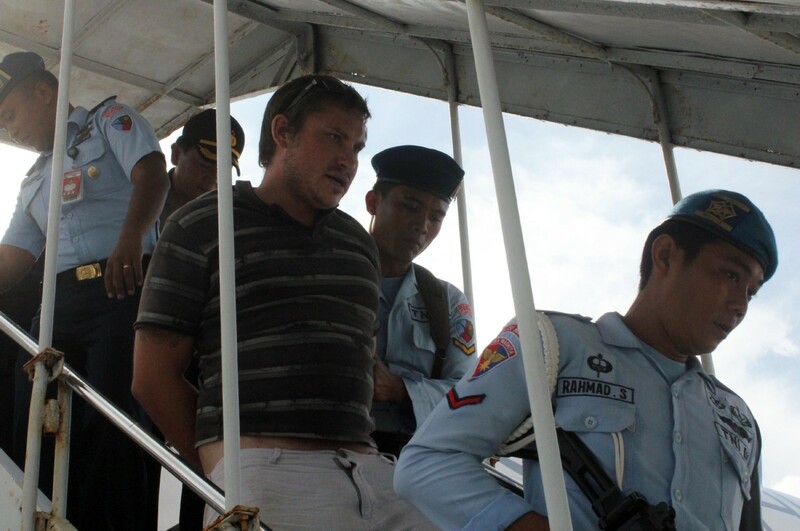 Lockley, from the northeast Australian state of Queensland, said that he was on his way to Bali to search for his Indonesian wife, with whom he had lost contact two weeks earlier, according to the spokesman. 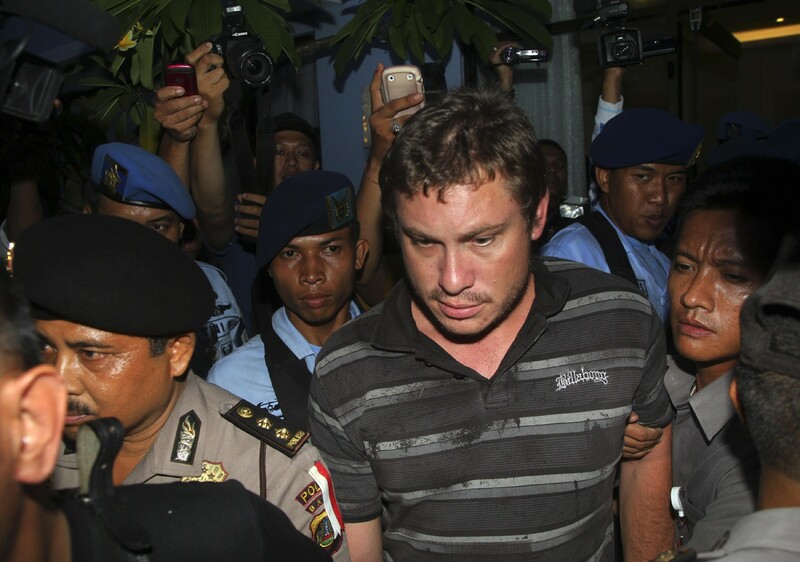 In his depressed state, Lockley claimed to have been "having hallucinations that somebody followed him and wanted to steal his bag", Wiyanto said. "According to him, he banged the cockpit door as he thought it was the toilet door." Police said earlier that a stewardess said Lockley had asked for medicine before thumping on the cockpit door. 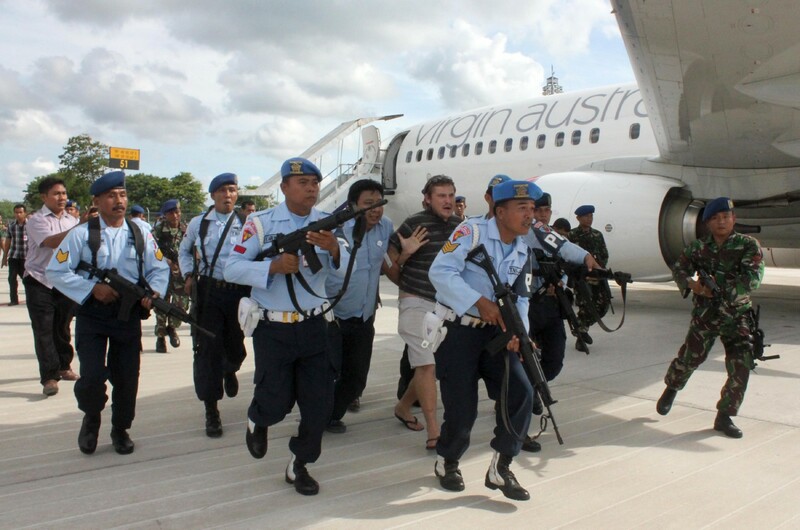 After this, the crew handcuffed him and put him in a seat at the back of the plane until it arrived in Bali. 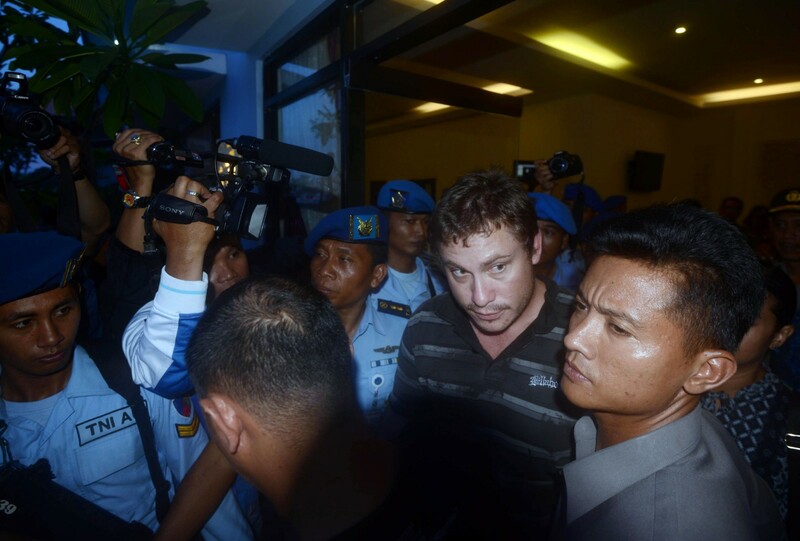 Wiyanto said Lockley could be charged for breaking a law against risking passenger safety, punishable by a maximum jail term of two years and a fine of 500 million rupiah ($43,000). "The Australian consulate will provide consular assistance as required." 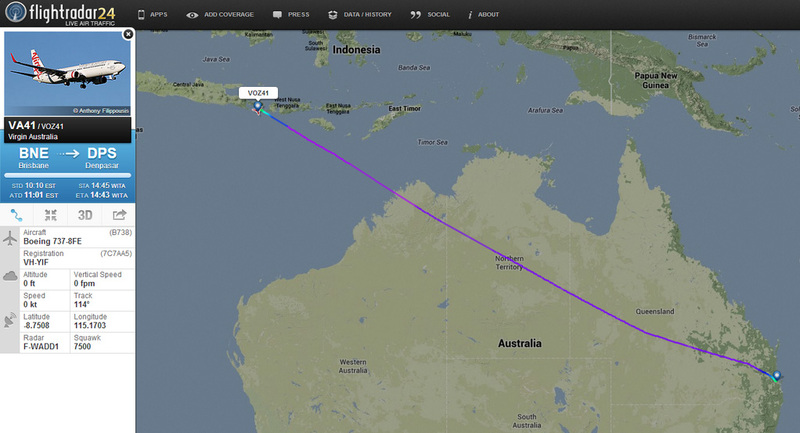 A drunk passenger sparked a hijack alert on a Virgin Australia flight heading for the Indonesian resort island of Bali Friday when he attempted to break into the cockpit, officials said. 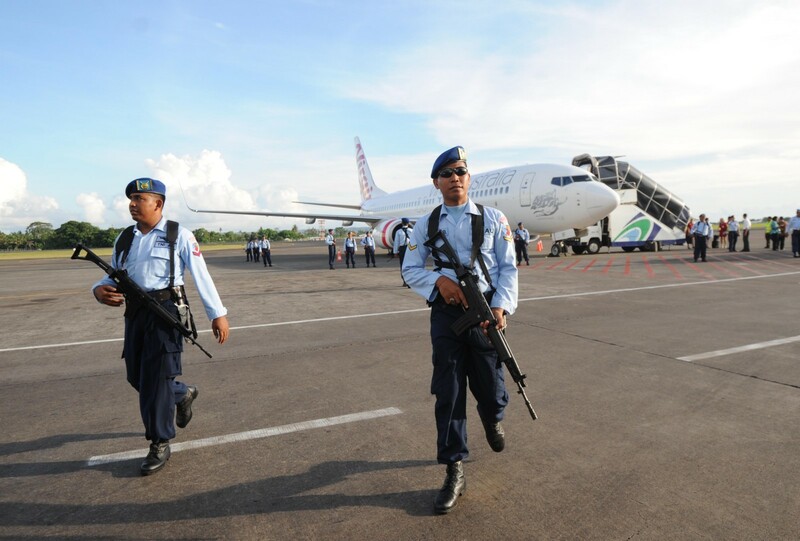 Security forces rushed to the airport when the Boeing 737-800 touched down on the tourist island, after the pilot reported the Brisbane to Bali flight had been hijacked, Indonesian authorities said. 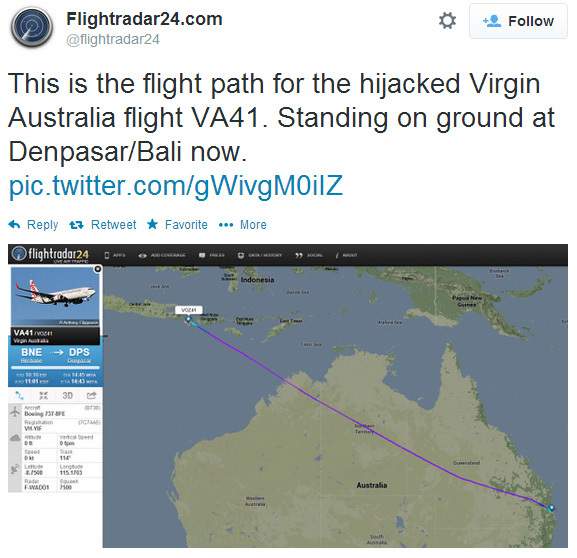 However, Virgin Australia said the drunken passenger had sparked a false alarm when he banged on the cockpit door. 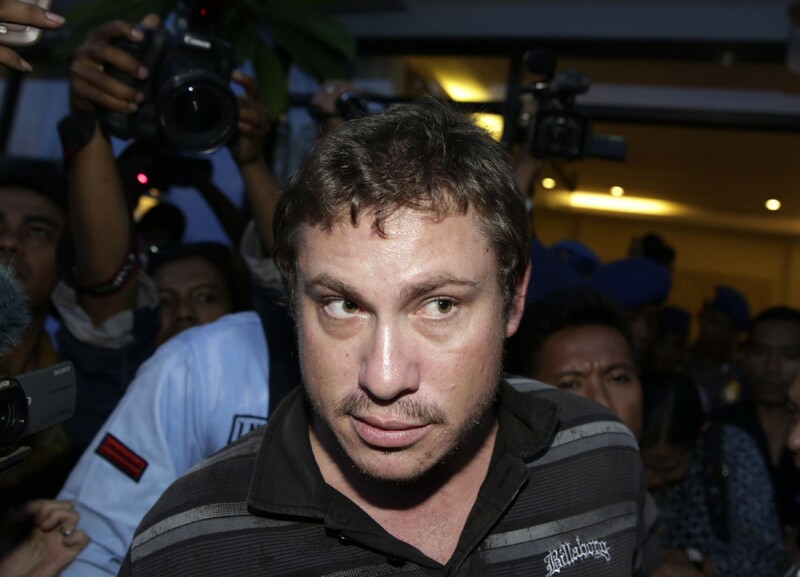 Indonesian authorities later arrested Matt Christopher Lockley, an Australian national. A flight attendant said Lockley had demanded medicine and started banging on the cockpit door, according to Bali police chief Benny Mokalu. He was stopped by crew, handcuffed and placed in a seat at the back of the plane, which was carrying 137 passengers and seven crew, officials said. 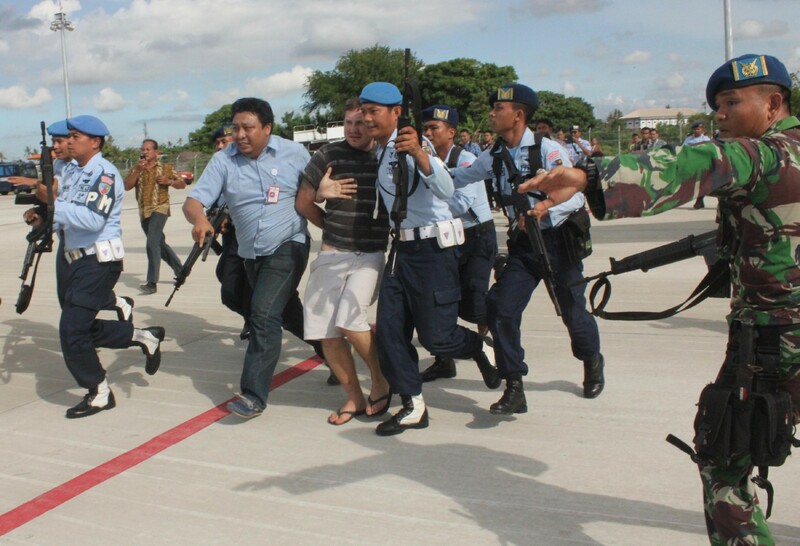 After landing, the passenger, who was unarmed, was taken off the aircraft and detained. 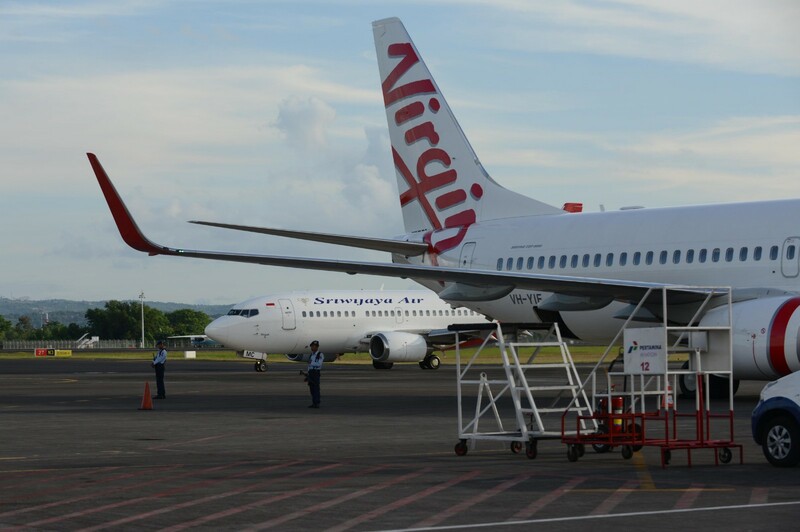 The pilot of a Virgin Australia plane flying to the Indonesian holiday island of Bali reported a hijacking attempt on Friday. 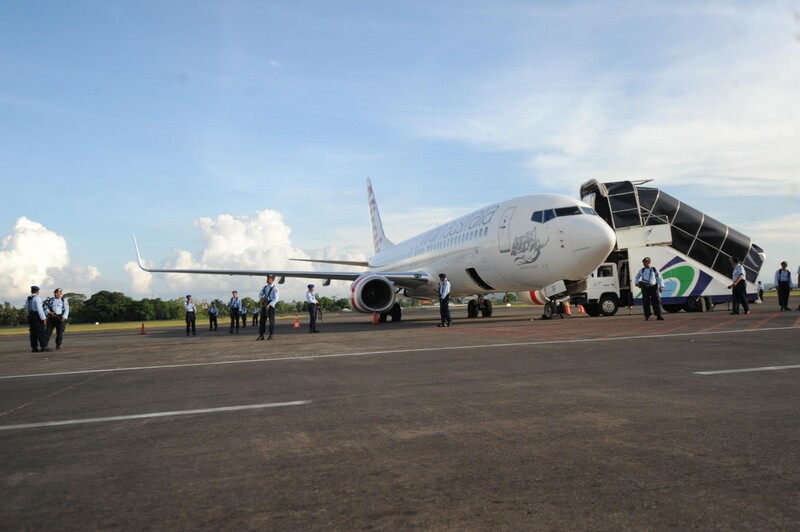 An Indonesian transport official said a passenger had tried to enter the cockpit.